Helping you spend some of that extra Christmas cash. If you're looking for a way to spend that extra cash you received in your Christmas cards, retailer Jimmy Jazz is restocking several popular Jordan and Nike sneakers tomorrow. The online event will feature more than 30 pairs of sneakers, including the 'Shooting Stars' Pack, White/Infrared Air Jordan 6 and 'Concord' Air Jordan 11 Low. 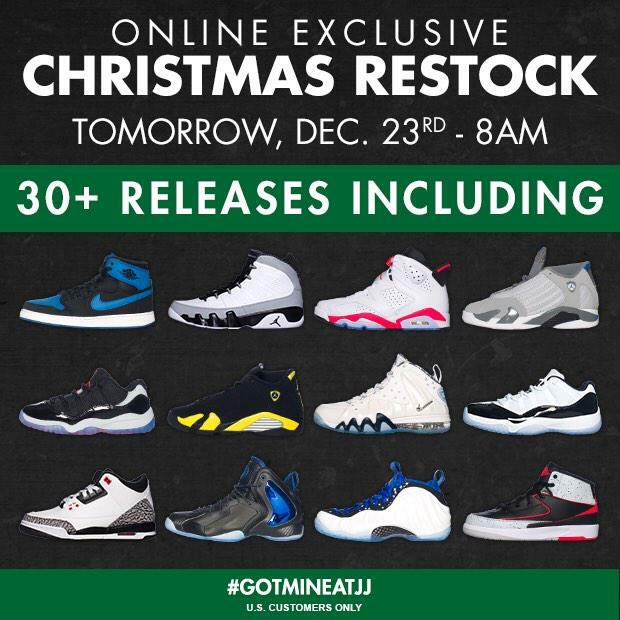 All pairs will hit jimmyjazz.com at 8:00 a.m. EST.